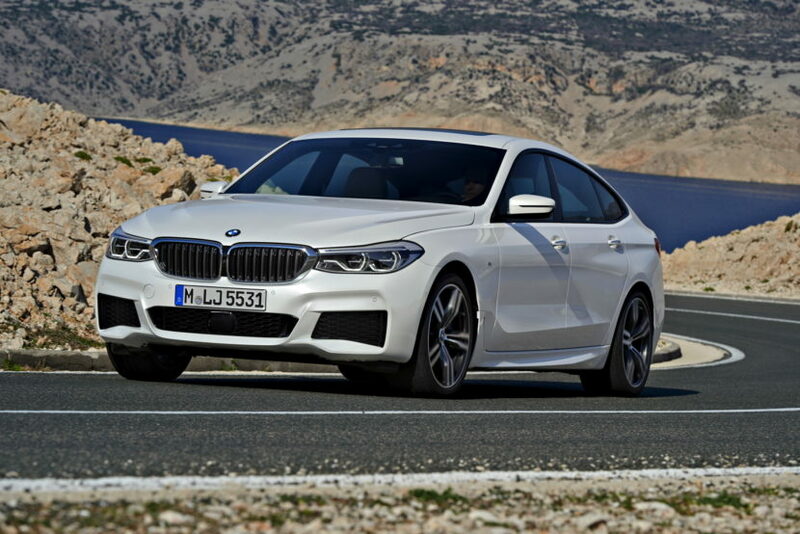 Even though the US will only see the 640i xDrive model make its way over from Germany at first, the rest of the world will get to pick from a wider range of cars within the BMW 6 Series GT line-up. The complete range available at launch will include models like the 630i, 640i, 640i xDrive, 630d and 630d xDrive offering interested customers plenty of choices from the get go. Later down the line, even more versions will be launched, further expanding the portfolio. 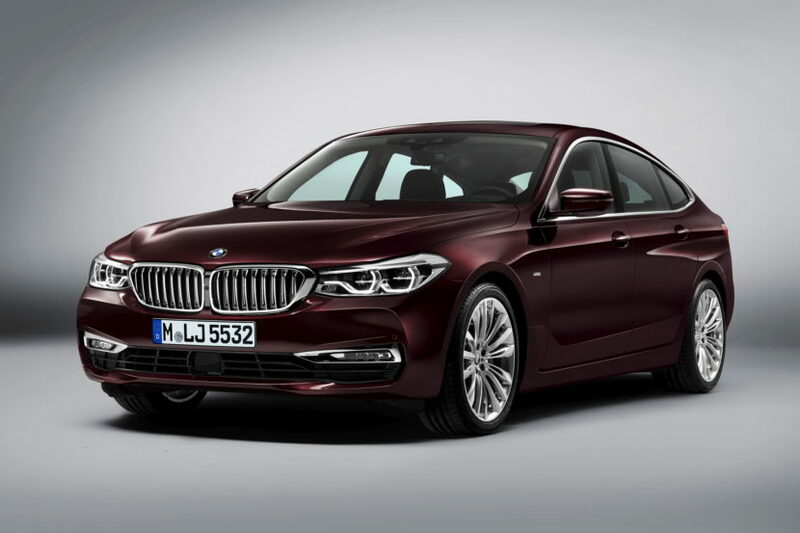 The entry-level choice will be the 630i, the only model in the range fitted with a 2-liter 4-cylinder engine. The B48 powerplant under its hood makes 258 PS and 400 Nm (295 lb-ft) of torque and is capable of sending the 1795 kg (3,957 lbs) car up to 62 mph in just 6.3 seconds. BMW also claims that the fuel consumption figures in the European NEDC test cycle show an average of 6.2 l/100 km (37.9 mpg) with the standard tires. Moving one step upwards we find the 640i and 640i xDrive models. Fitted with the B58 3-liter straight six engine found on almost the entire BMW range these days, the two cars can rely on 340 PS and 450 Nm (332 lb-ft) of torque. Going from stationary to 62 mph takes 5.4 seconds in the RWD model and 5.3 seconds on the xDrive version, despite the latter having a weight penalty of 65 kg to carry around (1,845 kg vs 1,910 kg or 4,067 lbs vs 4,210 lbs). Fuel consumption figures are claimed to be the same at 7.7 l/100 km combined (30.5 mpg). Lastly, the diesel side of things will be represented initially by the 630d and 630d xDrive models. Coming with a new-age B57 3-liter straight six diesel engine making 265 PS and 620 Nm (457 lb-ft) of torque, these will surely be the pick of the range in Europe due to their effortless torque. The two models can also move fast when they want to, reaching the benchmark 62 mph target in 6.1 seconds for the RWD model and 6 seconds flat for the AWD version. Fuel consumption is claimed to be identical at a combined 5.5 l/100 km (42.7 mpg) on standard tires. The all-new BMW 640i xDrive Gran Turismo will be available at U.S. showrooms in the Fall starting at $69,700 plus $995 Destination and Handling. Bro the car is beautiful..what is you saying??? No M650GT, then not interested. There is absolutely no reason to pick the 6GT over the 3GT. Size is a non issue. I had a 750Li before my 335GT, and the 3GTs backseat and trunk is comparable. Anything bigger is just excess. Add in the extra weight of the 6GT and the same engines and you have a slower, worse handling car at a $20k price premium with no reason to exist. So why do X5 & X3 both exist? And sell? X2, X7 to follow. The first gen X3 and X5 were almost the same size. The X5 offered the V8 though. The second gens had a larger size difference, and you could still get the V8. That’s the common factor here; the available V8. There has to be something to make the “bigger” one better, either a real size difference, or a better engine. Otherwise, there’s no reason to pay more for it if they look almost identical. I don’t get it. At first I thought it must’ve been a typo. How is this a 6 Series variant? Looks just like the 5 Series GT to me. Screw the heads at BMW for ruining what was once my favorite brand. Stop making cookie cut cars in different sizes for the sake of being able to say you’re creating 100 new models by 2020. Stupid. Come on guys! Where’s the love?! Also calling 3 million volume annually. If 6 GT enables new 8, I’m in. I’m pleased to see the price didn’t really increase. So that wasn’t a reason to call it “6” instead of “5”. Interesting.